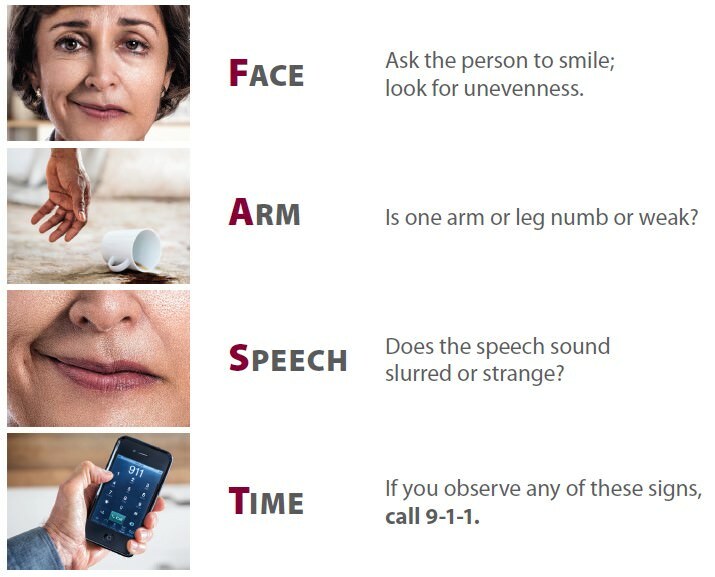 People who have already had a stroke or a transient ischemic attack (mini-stroke). Eat a heart-healthy diet. Cholesterol levels should remain at 200 mg/dl or below. Keep your diabetes and your weight under control through proper diet and exercise. Eat less salt. Cutting back on salt is one of the most significant steps to maintaining or lowering blood pressure to a healthy level of 130/80 or below. Limit processed and restaurant foods as they tend to be high in sodium. Eliminate table salt, or at least minimize its use. Limit alcohol drinking to one to two drinks a day. Heavy drinking can lead to atrial fibrillation which contributes to strokes. Stop smoking. Smoking damages blood vessels, raises blood pressure and speeds up the clogging of arteries. People who smoke are at twice the risk of having a stroke. Because time is of the essence in treating a stroke, you must know what your options are prior to experiencing one. Talk with your family and your neurologist or primary physician about all of the care options, including the latest neurointerventional procedures. Are you a candidate for a thrombectomy? A thrombectomy is the interventional procedure of removing a blood clot (thrombus) from a blood vessel. Are you a candidate for a “clot buster medication” such as tPA (plasminogen activator)? Is it even available at your hospital. It might not be available at the hospital of your choice, but it may be available at another hospital nearby that is a Certified Comprehensive Stroke Center. 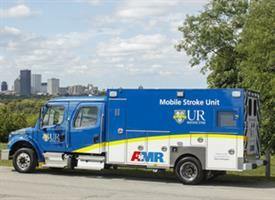 In September of 2018, UR Medicine unveiled Upstate New York’s first Mobile Stroke Unit, essentially bringing the hospital to the patient! While the MSU resembles an ambulance on the outside, inside it contains highly specialized staff, equipment, and medications used to diagnose and treat strokes. The cost of a MSU is $1 million, so the UR Medicine MSU is the only unit of its kind in upstate New York. The first MSU was launched in the U.S. in Houston in 2014. Since then, units have been deployed in several other cities, the closest being Cleveland and New York City. There is sure to be a lot of fundraising in the Finger Lakes for a unit like this!